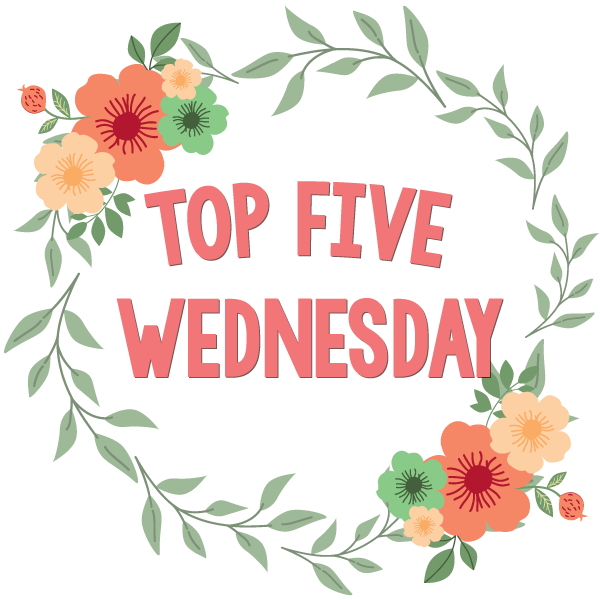 This week’s topic for Top 5 Wednesday is Top Books You Didn’t Finish. I try not to DNF any books, especially if it’s a book I’ve payed for. I always feel sad if I payed $14 for a book that I don’t finish but at the same time, if I don’t like it, I don’t want to waste my time. I always go back on forth on wasting money or wasting time. One of the most recent books that I didn’t finish, Hunter is kind of an interesting book for me. I love the cover and I loved the synopsis but once I started this book, I realized that Hunter is pretty much every YA book ever. Unlikely hero from humble origin is “different”, “special” and is the only one who can save the world. I just couldn’t get into it and I just didn’t want to finish it. I’ve seen a ton of people also didn’t finish this book so I don’t feel too bad. I didn’t like Those Girls. The characters were over the top mean and just nasty to each other. I was vaguely entertained at first but maybe that was because I started this book late at night and I wasn’t thinking clearly. I read about %20 of this book before I just couldn’t bring myself to read any more. I know a bunch of people love this book but I couldn’t get though it. I wasn’t aware of the animal torture in this book when I first started it. I just knew a lot of people loved it and when I seen it on BookOutlet.com, I got it right away. I couldn’t get past page 22 and I spent 6 days avoiding this book. I could barely even look at it without getting upset. I know a lot of people like this book. And that’s okay. I totally respect that. However, this is my most hated book that I’ve ever read. A couple of my friends had read this book and said they loved to hate it and that they couldn’t put it down. I was insanely curious about this book and I got an e-copy of it and started it right away. I’m so glad I don’t have a print copy of this book because if I had to look at it on my shelf, I would poke my eyes out. I think I read about 15 minutes of this book before I just couldn’t handle it any more. I’m not going to rant about how I feel about this book. If you want to know more, I do have a review/rant. So those are my top 5 books that I didn’t finish! I actually had a great time writing this post and revisiting my feelings of these books. What are some books that you didn’t finish? I also did not finish reading Hunter by Mercedes Lackey. My problem with it was the massive info dumping at the beginning. I couldn’t get past it. Pretty much everyone I follow that has read Hunter never finished it, lol! That is kind of sad, especially because it sounds pretty good.